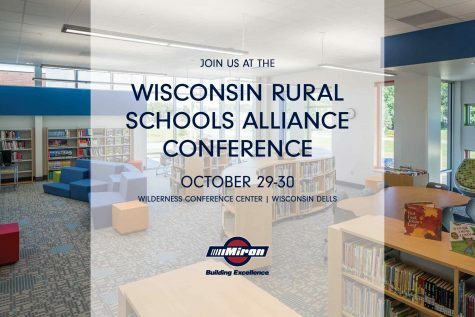 The 2018 Wisconsin Rural Schools Alliance (WiRSA) conference – Rural Schools Matter – takes place on Oct. 29-30 at the Wilderness Conference Center in Wisconsin Dells – and Miron will be there! This annual conference is for administrators, board members, teachers, CESA employees, higher education professionals, public library administrators, elected officials and citizens interested in rural school and community issues. Miron is proud to partner with many rural districts around the state of Wisconsin; we have a commitment to providing small schools with big impact. WiRSA conference hours are 7:30 a.m. – 5:30 p.m. on Monday, Oct. 29 and 7:30 a.m. – 2 p.m. on Tuesday, Oct. 30. Miron is proud to be presenting with Coleman School District and Baird during break-out session 2 on Monday. We hope to see you there!